If you've hung around here for a while, you know I'm a big old guitar-geek. I love this stuff and I love writing about it. For ages, I've been playing around with the idea of writing guitar-related books and I've finally done it. This is the first in, what I hope will be, a series of Haze Guitars Guides. I aim to cram them full of useful information while still keeping them easy to read (and even fun). Why Truss Rods? Because they're scary. Of all of the parts of a guitar, truss rods are the one that fill players with uncertainty. There are too many horror stories and far too much misinformation. Let's clear that up. Truss rods don't need to be intimidating. A whole book? Well, it's not a very long book and it's got a lot of pictures. ;-) Seriously, though, it's got pretty much everything you could need to know about how truss rods work and how to safely adjust them. I think this is a great start to the Haze Guitars Guides. So there'll be more guides? Definitely. Enter your email below and I'll let you know as things develop. How can I read this? This book will be available as a digital download in iBooks format (for the iPad people) and PDF (for every other device). How much will it cost? Truss Rods Made Easy will be completely free. Yep, it won't cost you a bean. Brilliant. How can I learn more? Check out the Truss Rods Made Easy page. 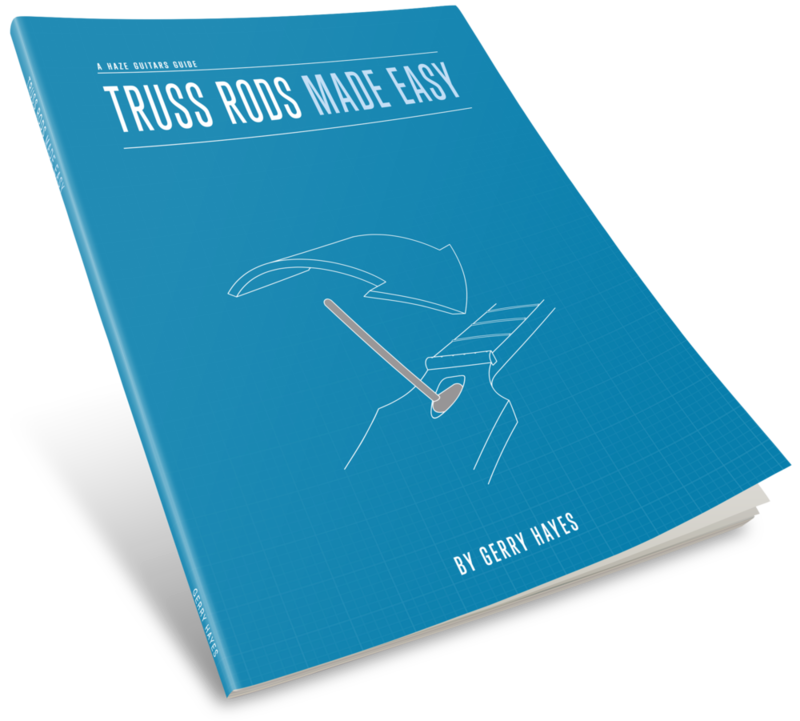 Truss Rods Made Easy launches on July 1st. There'll be some more interesting news hot on its heels. It's shaping up to be an exciting year here at Haze Guitars.